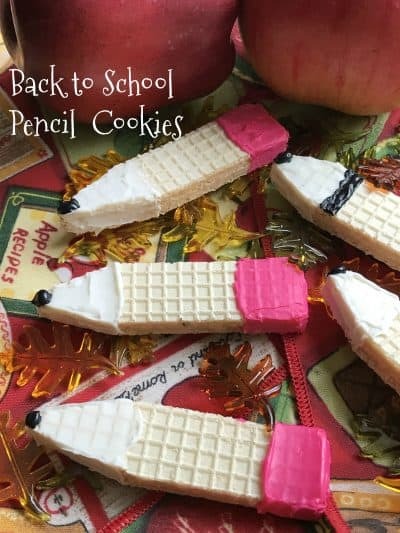 With kids and teachers heading back to school today in my area, I thought I’d share these fun and easy Back to School Pencil Cookies. Having two teachers in my family and two (full time) grandkids back in school, they’ll all need a sweet snack by the end of their school day. My daughter and I can breathe a sigh of relief, now that we’ll only have Iris in tow on our days spent shopping. Iris loves the special attention she gets too. 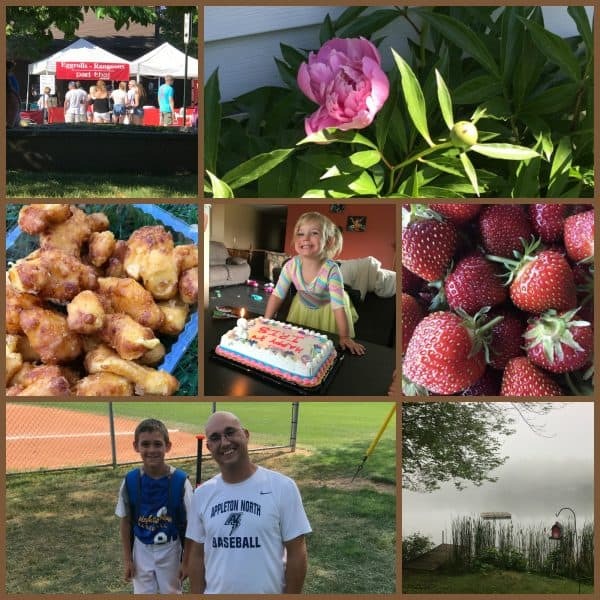 I seem to say this every year, and I’m not sure if it’s an age thing but this summer flew by. I mean flew. 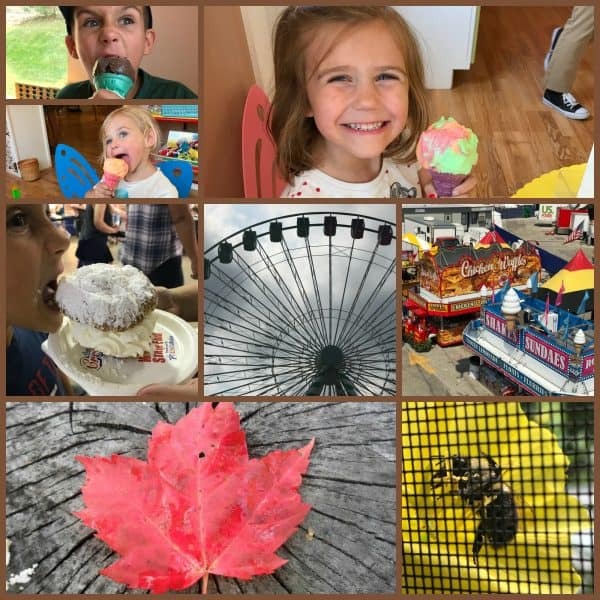 I was busy enough, but I’m the type of person that looks back on summer and thinks, “Why didn’t I do that..” and “Why didn’t I go there…” My hubby takes his vacation (all 6 weeks) in the months of September and October. With his work anniversary date in November, his vacation days start over again, so we look forward to fall more than summer. How did I spend my summer? 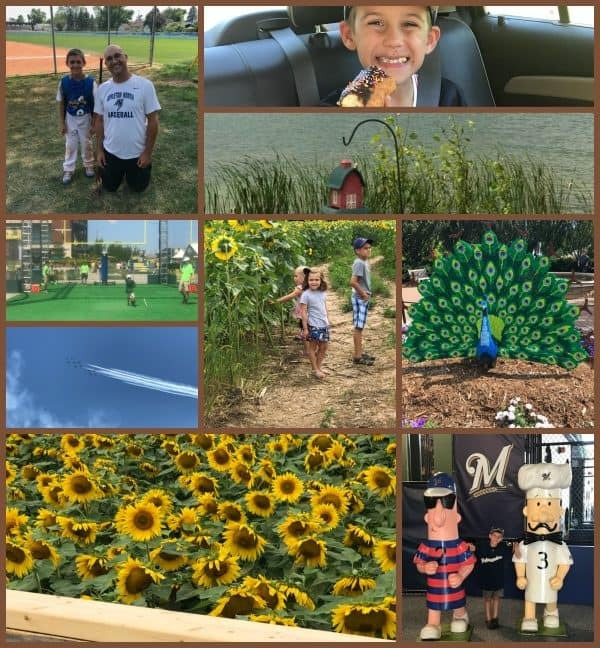 I put together a few collages that highlight some of the ways I spent my summer. Teachers are ready to get back into the classroom, kids are ready to get back to school and parents are all too ready to get their kids back into school!! I guess maybe summers are meant to fly by after all. It’s always good to get back into a routine and get some structure back into our lives. Looking for a fun recipe to make for your new teacher? Easy Apple Cupcakes might be the answer. 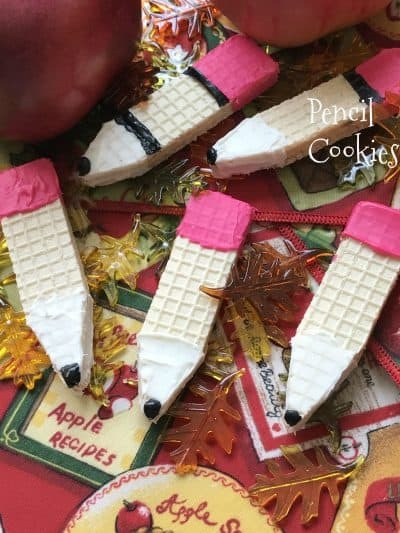 Back to School Wafer Pencil Cookies are super cute. I would suggest eating them asap because the wafers like to separate. 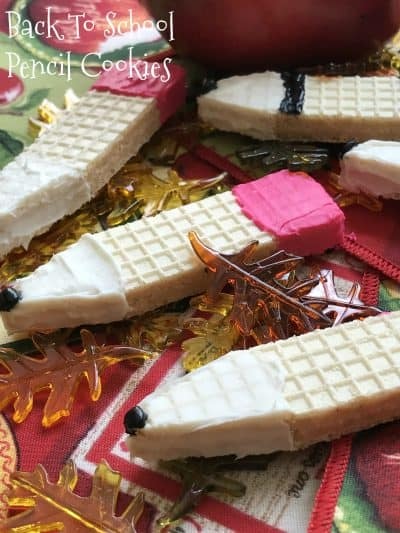 If they do start to separate, pipe a small amount of frosting in between the layers to use as "glue"
Using a serrated knife, saw one end of the wafers into a point. Place on waxed paper or wire rack. Divide the frosting among three custard cups. Add deep pink gel to another cup, stir until blended. Place black, pink and white frosting into three separate plastic baggies. Carefully sip off a tiny corner of the baggie. Frost the square end of the wafer cookie with pink frosting. Use a small off set spatula to smooth frosting. Set aside to set up. Frost the pointed end with white frosting. Smooth the white frosting out with the spatula. Pipe a small black tip on the pointed end and pipe a black line on the top of the pink end, this is optional.